He’s finally here and he made an entrance to remember. I’d been having irregular, but intense Braxton Hicks contractions for about two days. This was annoying as they’d come and disappear with no rhyme or reason. As we were getting ready for bed last night, I got a few more but dismissed them like the others. Then my water broke. This was new for me as my water didn’t break with mini-man. Luckily, Damon had just put mini-man to bed and was able to call my midwife. However, it seems our little one had other plans. My contractions went from five minutes to on top of each other instantly. I managed to get on the bed and on my side when a huge contraction hit and I felt the need to push. 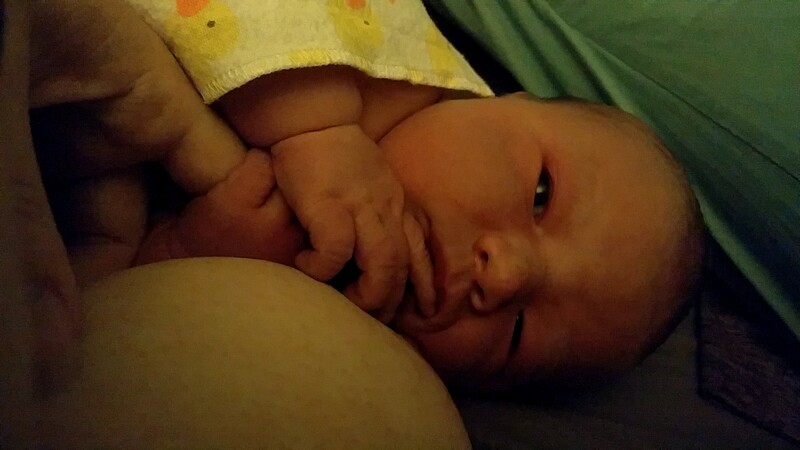 Damon was instantly on the phone with our midwife, telling her he could see a head. Thankfully, Damon had EMS training and managed to stay calm while our midwife instructed him on what to do. Three pushes later​ and little one was here. I only labored for 27 minutes! I was relieved it was over and amazed at what had just happened. Damon and I brought our little one into the world together and very quickly. 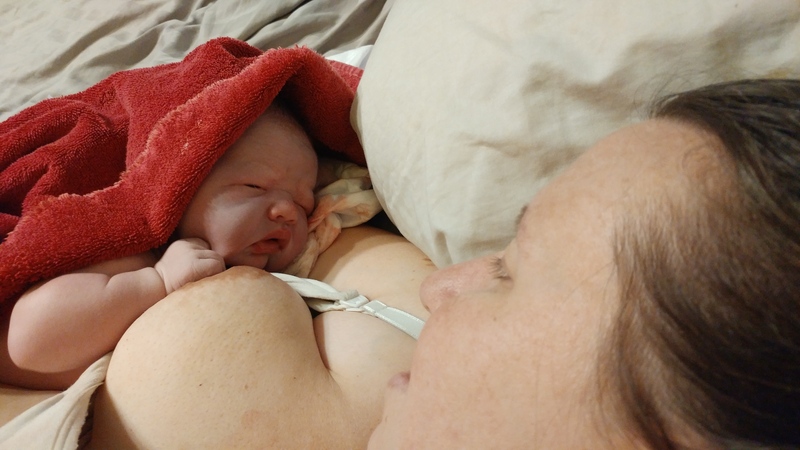 Now here’s the biggest shock – little one was 10.1 lbs and 23″ long. You read that right – I pushed out a 10lb baby in 27 minutes with no drugs. Isn’t it amazing what the body can do!?! 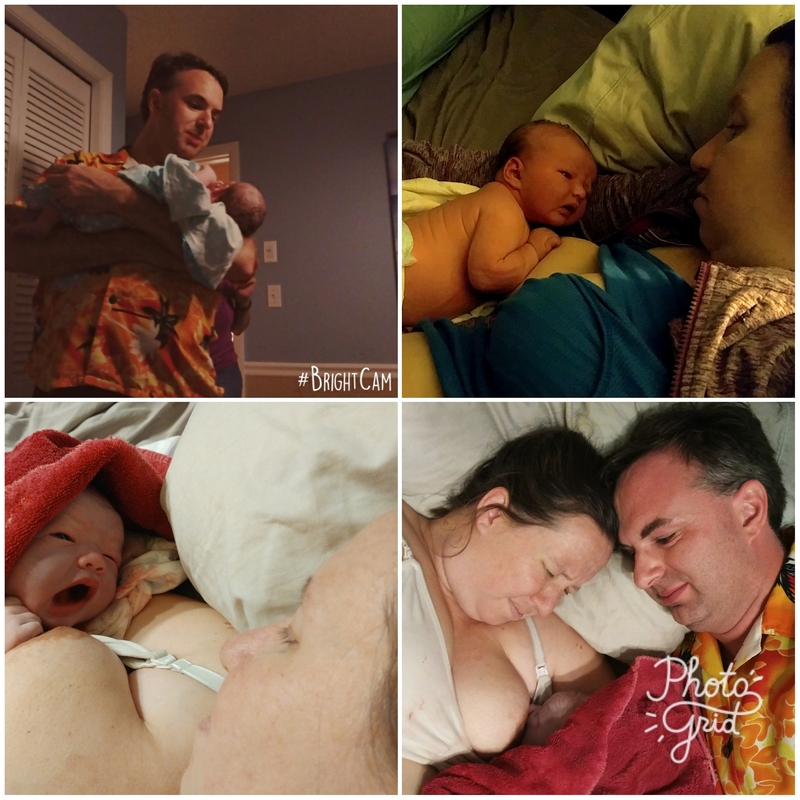 Today is our first day as a family of four. Colby slept through the whole thing and knows little one is here but really isn’t interested in him at the moment. I’m recovering and bonding with little one. As you can imagine I’m just a little sore. This is great kick-off for our upcoming adventure, which we’ll tell you about soon.